Wide goals promote super speed action, All around custom oversized aluminum rails prevents puck from flying off the table, with all cabinet grade 3/4″ plywood construction for heavy-duty use. Comes with internal puck drop system, with hinged panel for easy service access at each cabinet end (no tools required) ABS injected legs with adjustable leg levelers, Bottom hinged door for storage and shipment of legs, Industrial rated blower, provides superior high speed and pro performance over any competitive table made in the industry today, along with a standard “abacus” scoring system, and optional electronic side scoring as shown on left, with attractive Centerline, goalie box and dramatic graphics that enhance the premium blue Formica finish. We have several shipping methods to accommodate your needs. 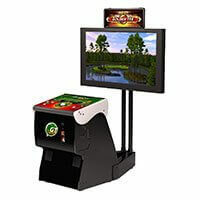 Here is an overview of the various options and pricing for common game room products. For all methods, the delivery address must be accessible to an 18 wheeler freight truck. If you need a smaller truck, please indicate that when you place an order. Please inspect the items when they are delivered and report any damage to us in the presence of the shipper. Item will be dropped off in the box on a pallet in a driveway or wheeled by pallet jack into a garage (as long as there is no step). If item is being delivered to a commercial building, it will be dropped in front of the building or brought to a loading dock. Item will be brought inside the home or building and brought into the room of choice. The item will not be unboxed/unwrapped and no assembly will be performed. Item will be brought inside the home or building and into the room of choice. Up to 30 minutes of light assembly will be performed. For pinball machines, the legs will be installed and the backbox will be hinged up, but the balls will not be installed. The Pinball Company, LLC makes no guarantee, expressed or implied, on the delivery time of any products sold. Any estimates given are subject to change and are dependent on time and method of payment, product availability, and turnaround times of shipping companies. In general, items can take from a few days to a few weeks to deliver. 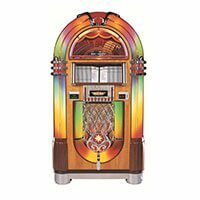 New items that are in stock can typically ship right way, while refurbished items may need to be cleaned and tested before they are ready to ship. For the best estimate of shipping times for a specific item, please call and speak with a representative. Expedited delivery may be available. Our One Year Limited Warranty, which includes new and refurbished products, covers telephone diagnosis and repair and replacement of defective parts for up to one year after you receive your machine. Our warranty also covers labor on the first service call within the first 30 days after you receive your machine. 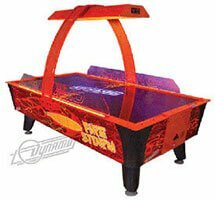 This warranty does not cover abuse or misuse or any item that is moved or repaired without authorization by The Pinball Company, LLC. 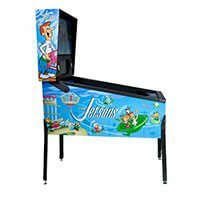 The following products are excluded from any warranty: pinball machines and arcades made prior to 1990, any item being used in a non-residential setting, any item used at a rental property and items noted “as is” in the product description. Coin-mechanisms are not included with purchase of machines and are not covered by warranty.